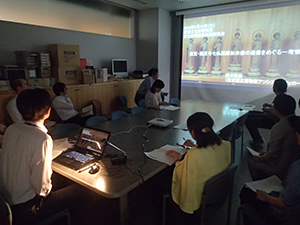 In the monthly workshop held on Tuesday, September 29, 2015 by the Department of Art Research, Archives and Information Systems, Mr. Akira Shimura of the Silk Fabric Research Institute, Katsuyama Textile Corporation made a presentation under the title of “Conventional Techniques in Silk Production” as part of our research project, “Research on art expression, techniques and materials.” Ms. Noriko Akimoto of the Silk Fabric Research Institute also attended the workshop as a commentator. Mr. Shimura has been working on the restoration of traditional silk fabrics produced before the modern age. 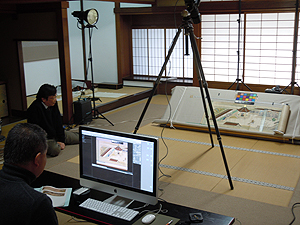 As a base material for Japanese paintings, canvas silk, the theme of this workshop, is very familiar not only to researchers of art history but also to Japanese art restorers. The attendees were engaged in diverse areas, including art history researchers and Japanese art restorers, which shows their strong interest in this field. 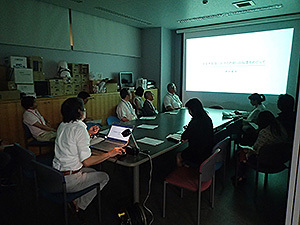 For this workshop, Mr. Shimura told us about a variety of findings on canvas silk and silk yarn he accumulated during the process of technical restoration based on field research for canvas silk of various ages left until today. At the beginning, Mr. Shimura presented basic information on silk yarn. Then, receiving useful comments from Ms. Akimoto from time to time, the audience asked questions, and Mr. Shimura answered the questions. During the Q&A session, we, researchers, realized that some of our knowledge on canvas silk and silk yarn perceived as common sense resulted from misunderstandings or misperceptions. Thus, this workshop was a good opportunity for us to revise our understanding, such as the unit, “d (denier),” which is not related to the thickness (diameter) of silk yarn but to the volume of silk. The relations between back coloring and the density of the texture produced with warp and woof (space between threads) were also revealed through detailed observation of the canvas silk produced with traditional techniques and restored. The workshop, which proceeded in a Q&A session style, took more than two hours. However, the information and knowledge about canvas silk and silk yarn Mr. Shimura presented were very fresh to us. We also had a good opportunity to feel beneath our fingertip the real texture of canvas silk produced in different fabric thickness and density by Mr. Shimura and Ms. Akimoto, as well as glossed silk beaten with a wooden block (silk cloth). These precious experiences will surely assist us in our art research in the future. The late Mr. Takeshi Kuno (1920-2007) was engaged in research on the sculpture of Buddhist sculptures for 38 years from his entrance into the precursor of this institute, the Institute of Art, in 1944 until his retirement in 1982. After retirement, he established the Research Institute for Buddhist Art next to his residence. As the head of the Institute, he provided valuable materials collected over many years for researchers. After he passed away, the bereaved family donated his research notebooks with his handwritten comments, photographic materials, and so forth to our Institute. These materials, which total 7,480 items, mainly relate to Buddhist statues located in Japan and overseas. Since March 2015, they have been open to the public as “materials donated by Takeshi Kuno” at the library of our Institute. Mr. Kuno organized the Hakuho Society for Buddhist art lovers in his Institute for Buddhist Art, and devoted himself to on-site observation tours and lectures for its members. The invitation notices inserted in his research notebooks reveal these activities. However, the details of his lectures were unknown. Under these circumstances, Mr. Hisamori Takahashi, who had helped the operation of the Hakuho Society, offered to donate the listed lectures, which we accepted in September. This is a list of lecture records distributed to the members each time Mr. Takeshi Kuno gave a lecture to the Hakuho Society. The members transcribed taped lectures in turns, and Mr. Kuno checked the transcriptions before distribution. This has enabled us to understand the details of his lectures for the Hakuho Society. These listed lectures will be released as part of the “materials donated by Takeshi Kuno” after registration. 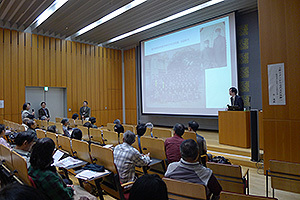 Over the two days October 31 (Friday) and November 1 (Saturday) of this year, the public lectures organized every fall by the Department of Art Research, Archives and Information Systems were held at 1:30 p.m. in the underground seminar room. 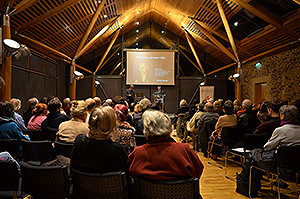 The general title for the lecture series was “Dialogue between Objects and Images.” These lectures are held to raise awareness of the public about some of the general knowledge obtained through our day-to-day research on cultural properties. This year marked the 48th time these lectures have been held. 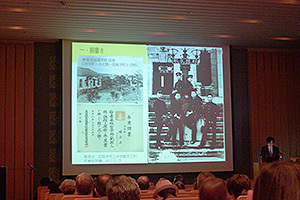 At the first session, TSUDA Tetsuei, Head of the Art Research Materials Section, gave a talk entitled “The Concept and Function of Ichiryu Sōshō Keizu (Illustrated live of succession in Bukkoji community of Shinran’s School),” and this was followed by a presentation by Dr. ITO Daisuke, professor of Graduate School of Nagoya University, entitled “Two Principles of Beauty in Pictures of the Insei Period―The Rise of Portraits.” There was fair weather on the day of the lecture, and it was attended by 108 people. At the second session, SHIOYA Jun, Head of the Modern/Contemporary Art Section, spoke on the topic “The Shochuhi Memorial in Sendai―Toward Recovery from the Disaster.” After this was a lecture by KAWATA Akihisa, Professor, Chiba Institute of Technology, entitled “Representations and Realities.” During the talk by Mr. SHIOYA, he asked Mr. TAKAHASHI Yuji, who was actually engaged in the restoration work, to take the podium and give a report. Unfortunately, the day of the lecture was rainy and cold, but nevertheless there were 55 attendees. Based on figures from a questionnaire survey conducted on both days, 91.7% of attendees were satisfied on the first day, and 83.7% on the second day. The Department of Art Research, Archives, and Information Systems conducts a seminar every month. 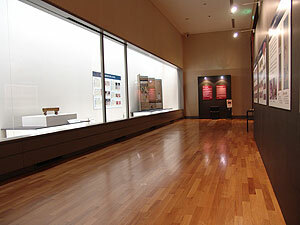 Starting at 3 PM on July 29 (Tues.), TSUDA Tetsuei, Head of the Art Research Materials Section delivered a presentation on the Origins of the Hollow Interiors of Wooden Sculptures from the Heian Period. 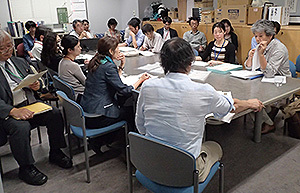 The seminar took place in the Department of Art Research, Archives, and Information Systems’ seminar room. The presentation also featured some of the results of Basic Research on Ancient and Medieval Statues of Omi [the previous name for Shiga Pref. 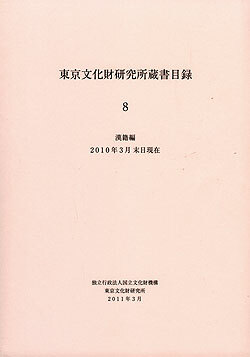 ]: Compilation of Basic Data and Images (2012-2014), which is research that TSUDA chaired. 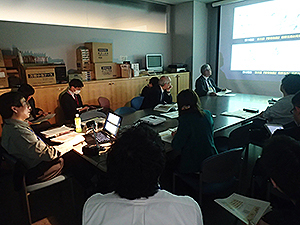 Seminar attendees included NISHIKAWA Kyotaro, a former Director General of the Institute. After TSUDA’s presentation, NISHIKAWA described his views on the presentation and he offered various suggestions based on his years of on-site experience restoring Buddhist sculptures and the valuable insights he gained from that experience. 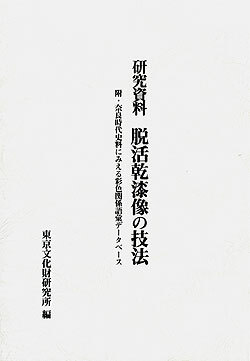 The views and suggestions that NISHIKAWA offered were captivating and couched in a way that even non-experts would be able to understand. Moreover, those views and suggestions included a wealth of specialized knowledge regarding techniques for sculpting Buddhist statues that one would seldom be privy to otherwise. NISHIKAWA generously offered his views and suggestions, resulting in a great opportunity for the presenter as well as seminar attendees to hear them. 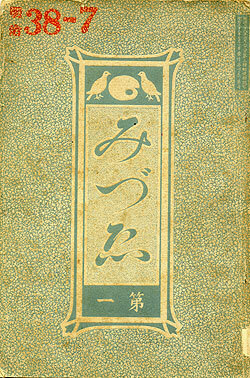 The “Zenshin Shonin Shinran Dene [Illustrated Biography of Shinran, Zenshin Shonin]” (2 scrolls) are picture scrolls depicting the life of Shinran (1173–1262) from his entry into the priesthood until the erection of his mausoleum following his death and were passed down by Bukkoji Temple, Kyoto. These scrolls were produced under the influence of picture scrolls of Shinran’s life that were passed down by Senjuji Temple, Mie Pref. The second set of scrolls is known to include text and portrayals that are hard to accept. And it is said that those text handwriting was those of the Emperor Godaigo. In principle, Bukkoji Temple’s picture scrolls are not shown to the public. Since the scrolls have been carefully passed down, they lack any evidence of restoration efforts like repaired creases. Despite its aging, silver paint on the scrolls has retained its brilliance. The scrolls are also notable for their colors, which remain as vivid today as when the scrolls were originally produced. Nevertheless, there are strongly divergent views on the date of production, with one view dating the scrolls back to the middle ages (15th century) and another placing the date in the modern age (the 17th century or afterwards). Through a project on General Research regarding the Publication and Utilization of Research on Cultural Properties, the Department of Art Research, Archives, and Information Systems is seeking to coordinate with other bodies to effectively display the journal on the Web and utilize accumulated research on cultural properties. Among art journals in the Institute’s collection, some Meiji Period art journals are defunct and their copyrights have expired. 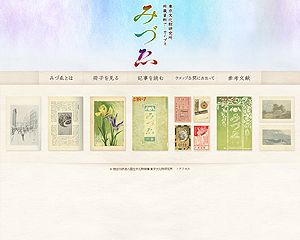 Numerous readers here in Japan and overseas wish to view Mizue, one such journal, so as part of the project the Department of Art Research, Archives, and Information Systems is seeking to coordinate the National Institute of Informatics to make the journal available on the Web. 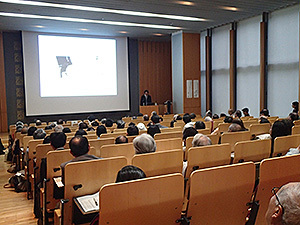 On September 13th, a conference to achieve that end was held at the National Research Institute for Cultural Properties, Tokyo. The goal would be to display the journal on the Web with a full index and links; article searches would allow readers to view images of the main text on the Web. Representatives of both institutes determined steps to achieve that goal and effective ways to display the journal on the Web. Representatives of both institutes reaffirmed their intent to display Issues 1-10 within a year and later display issues from the Meiji Period up to Issue 89 as part of the project.